Three episodes into the fifth season of The Walking Dead and "brutal" seems to be the recurring theme. Granted, the series hasn't ever been all that tame, what with the flesh-eating zombies shuffling along, attacking people. But The Walking Dead has really stepped up the suspense. 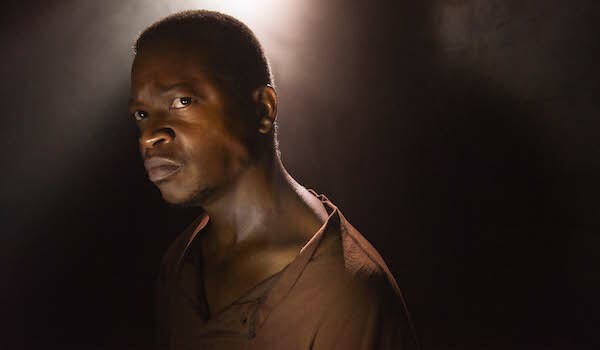 Spoilers ahead if you haven't seen The Walking Dead's "Four Walls and a Roof." Let's just get right to the meat of tonight's episode, and I'm not referring to what Gareth and his crew were chowing down on earlier in the episode. I'm talking about Gareth's poor decision to pay another visit to the church to attack Rick's group -- or the handful of them who were holed up there with a dying Bob, while Rick and some of the others headed for the school. Season 5 could have seen Gareth and his cannibal pals stalking Rick and his people for at least a few episodes before they were taken out. Alas, Gareth really was screwing with the wrong people, and now he's a chopped up mess on the floor of a church. Or what was once a church and is now just "four walls and a roof." This is not God's house anymore. Gareth and his people were essentially executed by Rick, Abraham and Sasha. Gareth died not long after begging for his life. He likely realized somewhere in his mind that the only second chance he was ever going to get was surviving Carol's raid on Terminus. This was Terminus 2.0, complete with an A marked on the outside of the building. And once again, it was a bad day for those with an appetite for human flesh. It's hard to know what to make of Rick's choice to kill Gareth. On one hand, let's consider Tyreese's decision not to kill Martin during "No Sanctuary." His mercy had repercussions. After all, Martin wasn't exactly a passive member of the group, just willing to sit back, eat meat and sometimes hold a gun. Tyreese let him live and it nearly backfired hard on him and Rick's group. If Rick had offered the same mercy on Gareth, who knows how long it would've been until Gareth and his people came back? The best case scenario is that they wouldn't have come back, but they would've targeted other people, and that's not much better. So Rick opted to rid the world of a group of predatory cannibals. Putting a bullet into Gareth's head would've done the job. And it would've shown a Rick in control of the situation. Instead, what we got was Rick hacking Gareth to mush with a machete. That was personal. As was Sasha's similarly violent response to the green light to take these people down. Abraham didn't seem to be holding back either. All three went hard on Gareth's people, making sure they were good and dead before calling it a night. The looks on the faces of Tara, Tyreese, Glenn and Maggie suggested that the brutality of their friends' action wasn't going unnoticed, even in the context of the situation. Gareth says pretty people taste better. And women taste better because they have an extra layer of fat. But how does tainted meat taste? Apparently, the same as regular human meat, as no one seemed to notice that Bob was bitten while they were feasting on his leg. But they were all quick to freak out when a borderline-hysterical Bob laughed in their faces and announced that his flesh was tainted. Does eating tainted meat mean they would've turned eventually? Gareth seemed less concerned about it, as they'd cooked the meat, but do we know for sure that that's enough? 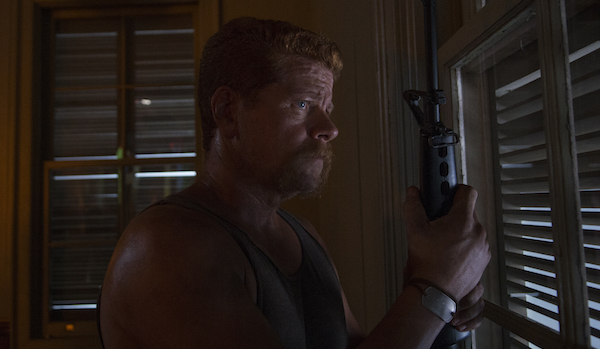 Rick and Abraham butted heads a bit during tonight's episode, when Abraham decided it was time to go to DC. It was evident right away that they were planning on splitting up (this was before Gareth's return to the church), but when Abraham said he was taking the bus, tension erupted and it looked like Rick and Abraham might actually fight. Glenn was the voice of reason there, encouraging Abraham to postpone the DC trip just long enough to help them with Gareth, after which they could go. Is it weird to think that Rick and Abraham reconciled over the massacre? Maybe it wasn't so much the violence as it was their mutual willingness to do what needs to be done without flinching. Regardless of the reason, Rick and Abraham were on good terms when Abraham fired up the bus to head to DC. Rick has the route to DC if and when he and his people want to try to catch up with Abraham, who actually has some of Rick's people with him. Glenn, Maggie and Tara are going along for the ride. That decision was made before the massacre, but I can't help but wonder if Maggie and Glenn are feeling a bit wary of Rick after seeing the way he lost it on Gareth. Daryl returned at the end of the episode. He and Carol took off in a car last week to chase down another car that looked like the one Daryl saw peeling off the night Beth disappeared. We still don't know what happened to Daryl and Carol, and weirdly, we don't even know if Carol is ok. When he arrived through the trees, Michonne asked "Where's Carol," and Daryl kind of flinched and turned toward the dark woods behind him. All he said was "Come on out." Is he talking to Carol? Why would he have to tell her to come out though? Is it possible he's talking to someone who's holding Carol? Obviously we're meant to be left guessing, but it seems evident that something is wrong. Gabriel's big secret was what we guessed last week. He was scared and locked people out, now he feels terrible about it. It's a wonder he's lasted as long as he has on his own. Rick shot off two of Gareth's fingers when he arrived at the church. This proves two things: A) Rick has really good aim, even in terrible lighting. And B) Gareth can dish it out (and serve it up barbecued), but he can't take it. Judging by his horrified and cowering reaction to losing his fingers, imagine how he'd react if he woke up to find a bunch of strangers eating his leg. Eugene seemed pretty reluctant when Abraham said it was time to go. Thoughts on this: A) He didn't want to leave Rick and his group. B) He didn't want to leave the "safety" of the church or C) His big cure is just a made up theory and now he's starting to rethink allowing all of these major decisions to be made based on his supposed cure. I've been leaning toward C since Eugene was first introduced, so maybe I'm just looking for evidence that supports it, but we'll see. "Before the prison, I didn't know if there were any good people left. I didn't know if anybody was left. You took me in, 'cause you took people in. It was you, man. What I said yesterday, I ain't revising it. Even in light of current events. Nightmares end. They shouldn't end who you are. And that is just this dead man's opinion." Bob was alone and new and Rick allowed him to stay. Would tonight's Rick have made the same choice? I honestly don't think so. And that probably matters a lot.